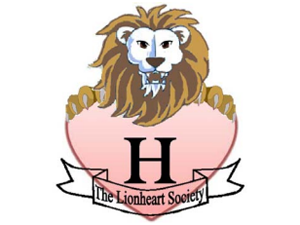 The Lionheart Society logo of a Lion holding a heart describes our group’s primary objective of being of service to others. The “Lion” is the perfect creature reflecting our courage and determination in all our endeavors. The “Heart” signifies our group’s oneness and unity in all our plans and decisions. And as proud Harrovians, the “H” stands for our belief in honesty, humility and honor.